As a city, it’s unbelievable. There’s so much variety and so much going on. It’s a bit different from Glasgow. How is the business attitude different? There’s a real work-life balance here. Comparing it to somewhere like London, people aren’t grinding it out at all hours. The Asian way of doing business means that the office is just a place to meet and greet and business discussions happen away from the office. Closing a deal is something that happens over coffee, or lunch, or a beer after business hours. So it’s taken a couple of months to get my head around all this. Sounds like you’re settling in now? We’ve been here for almost 6 months now so it’s taken some time to get set up with an e-pass and all the documents to be able to start work here. We also moved into a new apartment condo outside of the ex-pat scene. Our neighbours aren’t all Europeans – we have people from all walks of life here and there are plenty of places to go on your doorstep. The heat is something I’m adjusting to as well. All the clothes I brought here are redundant. Even at business meetings, nobody wears a tie and it’s more about polo shirts, even shorts. It’s getting warmer now, hitting 35 degrees and it’s humid. I’ve been doing some legacy work from Europe and now I’m focusing on Singapore. At first, I was looking further afield across all of Asia. It was only when I arrived here that I realised just how big Asia is and how many people there are. So I’m focusing on local content now. There are still projects in Taiwan but I’m starting to build up the Singapore portfolio because I can meet everybody here so it’s a lot easier. Wind and solar, the same as before. For some of the companies, I already had a relationship and there are some new ones. But they’re all looking for the same people. The main issue is that Asia isn’t a hotbed for the talent that everyone needs. Especially is solar, which has been volatile over the years where people lost jobs and companies folded. Now, companies are looking for people with 10-years experience but that just doesn’t exist here. Now we’re looking at the European angle to find people who might be interested in moving out here. Yes. I’m also changing the way I work, where I do business development and work with consultants back in the Glasgow office who are focused on Asia and can help with the search, while I deal with clients. What kind of roles are you focusing on? We always focus on Senior to mid-level. obviously, higher-level positions are scarcer and often companies can select successors internally or through their network. It’s the technical roles that are harder for companies because they don’t have those people in their network and people aren’t always looking to move. So we can help with that hard-to-find technical roles and bring people in from another country. Are the roles permanent or contract? The way it works with visas means that companies need to employ people directly so most of the work is permanent unless you’re employing people from Singapore or Malaysia who have a different pass system. There are certain roles in construction that are contract-based but for development, companies want to employ people who are locked into projects for the longer term, so they don’t leave 2 years into a 5-year project. If they leave, a project can easily be put back 6 months. I have to be very tough with myself otherwise you can easily see the day disappearing. I’m very structured now and fill my diary with every action I need to do and targets I need to meet each day. I set priorities so I can aim to get things done by a certain point of the week so I can concentrate on other things. You have to be really time management-focused. I quickly realised that meetings can easily consume a lot of my day. If I meet 2 or 3 people in a day, the whole day is gone. It only takes 3 one-hour meetings with half an hour travel either side and that’s 6 hours of the day gone so you have no time for other work. I also realised that most people in Singapore don’t go into the office until 10am. Nobody else starts really early and people go for long lunches. People queue for 40 minutes to get lunch at the right place. There are some cultural differences here too. Singaporeans are very technology focused so they’re much more responsive to email and LinkedIn but it’s harder to get a phone call so it can take longer to get through details. It might take 5 or 10 emails to get through something that could be done in a 5-minute phone call. So I have to adjust the way I manage the time I allocate to outreach. Getting my time-management and balance sorted has been a challenge. You could work every hour of the day. You can see yourself answering emails all day. Now I’ve structured my time into blocks and I work on something for a set period. I’d always answer an email right away. Sometimes I’d get an email, fire a reply straight back and not get a reply until the next day. Now, if that’s not super-important, I’ve decided not to be that person constantly chasing up. I break my day into sections – this is when I do business development, this is when I do candidate work, this is when I’m catching up with people, this is when I’m meeting people and this is when I’m going to be offline. I feel much more productive doing one thing and one thing well. I can see from the results I’m getting that it works out better. I’m also consciously taking every Friday to plan the week ahead so I know where everything is when I start on a Monday. Keeping my diary full also helps me stay motivated and focused so I know where to push myself to hit targets. When I get to Friday, I know that I’ve already done what I need to do. There’s also nobody sitting next to you that you can bounce ideas off so you really need to be able to focus and stay motivated. What does your day look like now that you’ve adjusted? I work when I need to. If for instance, I’m doing a lot of work with the team in the UK, my phone starts going crazy in the evening. It’ll be 7pm here and I’m still taking UK calls that I don’t want to ignore. So I’ve started taking the 2-hour gap a lunchtime like everyone else. If I’m working from home, I can take a swim, one of the great things about having a pool in our apartment complex. Often I’ll do my business development in the morning and speak with candidates in the evening and night time. And If I need to pick up with people in the UK, I can do that until 9 or 10 at night. Otherwise, we can lose half a day waiting for the sun to come up in Europe. I also take advantage of the time difference and get a head start in the morning. If I see emails coming through that I know won’t be seen by the UK team, I can step in and reply. It means I can solve problems as soon as they emerge, instead of waiting another 12 hours for the UK team to start work. It gives us round-the-clock coverage. How do you check in to HQ? I speak with Tom twice a week and I speak to people in Glasgow just about every day over phone or email. It’s so easy with tools like chat and video calls to stay in touch so you’re not out here alone. How have companies received TH in Asia? Some people know about us, but others don’t, simply because we haven’t been in this market for long. We’re well known in Taiwan because of the work we’ve done there and there’s a lot of people in offshore wind. We’re also corporate partners for the Asia Wind Association so people are starting to learn more about us. Tom (TH CEO) is giving a keynote at the Taiwanese offshore wind day. There are also a lot of Europeans here who know about us but maybe don’t fully understand what we’re here to do, so there’s some education about what we’re trying to deliver on. It’s all about building our network here. A lot of companies are trying to cover everything and don’t really understand the finer details of what the renewable energy industry needs so that’s one big area where we can help. There’s a good opportunity to be the market specialist but it takes time to develop. Companies are now approaching us with job roles so we just need to keep doing what’s worked for us so well in Europe and keep finding the right people to put forward. What were you doing before joining Taylor Hopkinson? I first joined Santander’s graduate program but a year and a half into it, the financial crisis hit. Then I worked at another recruitment consultant specialising in the energy industry before joining Taylor Hopkinson. The main difference with Taylor Hopkinson is that we focus on specific industries instead of countries so we have a better understanding of the specific details of say wind or solar. In Glasgow, I was working at different times to everybody else, dealing with the US market and I had a certain amount of freedom. We managed to do well enough to open an office in Houston. I like to be in a place where you’re breaking new ground. It’s quite exciting. So Singapore is a natural progression for you? Yes, my wife and I were planning a move either to the US or Singapore so this opportunity came at the right time for us. It’s great having the opportunity to travel, especially with Singapore being at the hub of everything. You can easily jump on a plane and get out of Singapore in 15 or 20 minutes. The airport is the easiest airport I’ve ever been through, so it’s great in that sense. There’s also a huge opportunity here for the renewables industry. Countries are looking to decarbonise. There’s an energy imbalance in a lot of countries where it’s difficult to get the grid system to some places. So solar plants, onshore wind, even offshore wind can provide an energy solution to people who’ve never experienced that. I spoke to somebody from The World Bank Bank recently who is helping governments develop renewable energy policies and it makes a real difference. It’s saving lives because babies are no longer being born by candlelight and now have access to life-saving medical equipment. There are also a lot of Europeans who are keen to move out here so it means we can provide top class talent from Europe which can only happen by talking to our European teams to help fill vacancies. How developed and sophisticated are the renewable energy markets there compared to say European Offshore Wind? For offshore wind, the only place investing heavily is Taiwan, who are aiming to reduce their dependence on Chinese coal. There’s also an area in the North that’s perfect for offshore wind – good wind speeds, shallow water. Almost a North Sea mark II. South Korea and Japan are likely to be next. With the Fukushima accident, nuclear is unattractive and Japan is investing in floating wind farms. Singapore has busy shipping lanes that make offshore wind more difficult here. So there’s more a focus on commercial and industrial solar and maybe storage. Singapore is really attractive for companies to set up here because they’re protected by the commercial contracts here. It’s also a financial hub so developers can be close to investors. What motivates you to show up every day and do your best work? I love delivering good work. Especially when you meet with somebody and have a stake in their work, there’s a pride element in helping people fulfil their goals. Especially on the more difficult recruitment assignments where companies can’t fill roles themselves through their HR department. It’s great being able to provide that service. Obviously, there’s the financial reward too. You get paid good money to do a good job. It’s also good working on the challenging positions. Some people can think “this person doesn’t exist” but that person does exist – it just takes some time, some influence, some delivery to get them across the line. 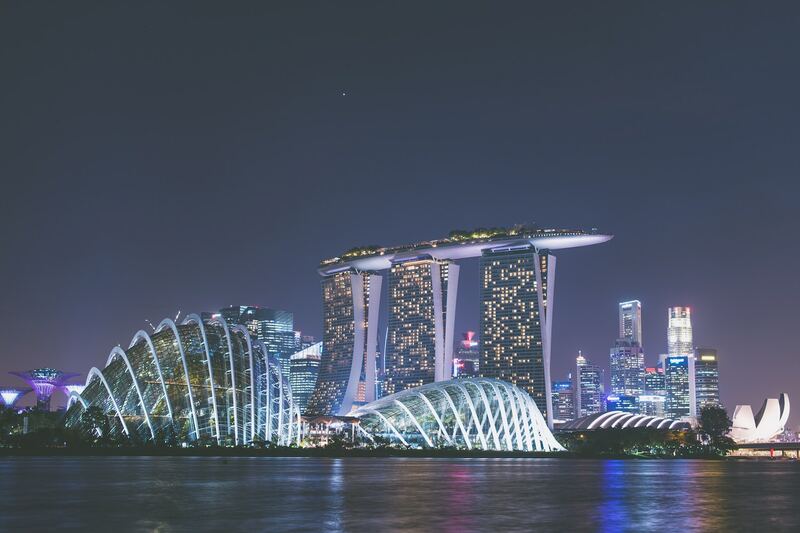 What are you planning to do as you grow in Singapore? I’m looking for potential talent to help with resourcing here will help reduce the time we need for Europe to respond. It might also help to bring in a Mandarin speaker, or Japanese. One of the drawbacks is that the culture is very process-driven and not quite as creative as we often need for work like this. So we really need to focus on bringing in the right people.